Are you experiencing the uncomfortable feeling of a Home Lockout that often happens if you lose your keys? If you are in this situation, call King Locksmith of Friendswood, one of the fastest service providers in town. When you lost your keys, you didn’t know that you could get an auto locksmith to make new ones. Instead, you called your dealership, but were choked to hear how much it would cost you. 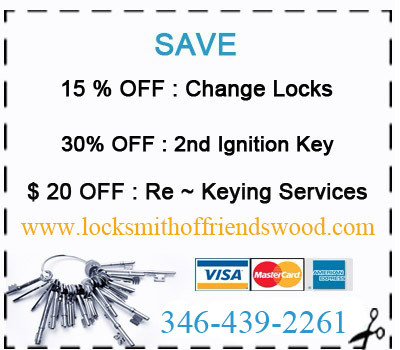 But our Car Key Replacement is affordably priced and in fact considered the cheapest in Friendswood, TX. There are certain functions of operating your vehicle that you do automatically and hardly think about them. Need a Spare Car Key Cutting or Replacement Keys for your Car? Are your car keys stuck in the ignition? Call Us We Can Help You!